…a small pot of bent nails. He kept everything. Even bent nails were worth hanging onto. This isn’t just the behaviour of an obsessive hoarder, this is about value and understanding that, without wanting to sound like a Pound Shop Taoist, all things have a place and a purpose – it’s just a matter of time before their usefulness is revealed. This is also perhaps about not giving up, that even the broken, the bust, the bent and the crooked should not be discarded. From the banks of the Clyde to London’s East End in the 1930’s my dad didn’t just see poverty he lived in it. His mum made and sold toffee from her front step in Poplar. And he regarded himself as fortunate. While getting your Claire Rayners robbed might be a risk run by today’s youth in Tower Hamlets, he went to school with kids who didn’t have shoes. He also saw what the war brought to London and what it left behind. When your world has been resolutely destroyed it takes a remarkable defiance to rebuild. To come back from nothing is impossible but to reconstruct the shattered and the smashed is feasible. The process requires a resourcefulness that will identify the broken from the hopeless. All art is about salvage, about taking one thing and turning it another. It is about the ability to recognise potential in something improbable. We live in an age of replace and up-grade; we would do well to remember the practice of ‘making good’. Become accomplished at this before embarking on your masterpiece. I can easily succumb to the skewed view that my life has, to date, been a series of nails half banged in, a bunch of botched and broken off attempts at making and creating, one sore thumbed endeavour at driving something worthy home with a dull hammer. There are 20000 writing documents currently sitting on my lap top. Stories and scripts unfinished, essays begun and abandoned, letters unsent, poetry in progress and endless notes-to-self neglected. Of those 20000 I’d say there are around 200 that qualify as ‘pieces of work’. That’s a 1% success rate. The rest of the stuff? Just bent nails, bent nails. And I’m hanging on to them. A week on from our sold out film premiere in London we give a live audiovisual performance of My Name Is Swan tonight at La Punta della Lingua, Portonovo, Ancona, Italy. A reading with a slide show of stills from the film cut together by director Adam Carr with a subtitled translation provided by Italian poets Luigi Socci and Francesca Gironi will be presented at Chiesa di Santa Maria, Portonovo, Ancona, lunedì 3 luglio, 21.30. We performed ‘My Name Is Swan’ with a live slideshow compiled by filmmaker Adam Carr as part of Festival Internazionale di Poesia di Milano at MUDEC. We’ll be taking this event on tour after the film premiere at the East End Film Festival on 25th June. The first time Chelsea won the league I wasn’t there. I really wasn’t there, most of us weren’t. The second time (within living memory) I wasn’t there either. I was on stage at a festival in Italy. After the show, I went backstage and found that someone had nicked my Chelsea towel from the dressing room. Yer, I’m not embarrassed to admit that I had a dressing room. The last time we won it I was on an artists’ residency in France writing a screenplay. While Chelsea achieved yet another success I was off, scratching away, twisting in the wind, missing out on another had-to-be-there moment. But absence is the essence of poetry, loss and not belonging where it finds itself, elsewhere its station and its standing. Poetry is the art form that isn’t there. It lacks the universality of music, the physicality of image making. If it points at anything it is beyond, away, not here. So as Chelsea fans fought in the stands when their team won the league again last night, where was I? Well, you never saw me. I wasn’t there, right? The last known ‘breeding pair’ of Italian swans were spotted on Lake Como in 1974. Their union had been blessed by the church in 1969. It was later discovered that both swans were in fact male. The church declined to comment. Mussolini is said to have ruptured a testicle after being attacked by a swan on the banks of the Po. Alpine partisans in WWII carried the insignia of the swan and two orbs on their berets. A violent faction of the Juventus Ultras known as ‘Brigata del Cigno’ or ‘The Swan Brigade’ attend matches dressed in black and white swan feather costumes. They intimidate rival supporters by waving their arms about a lot and hissing. Jan Noble will be performing his poetic monologue “My Name Is Swan” at three venues in Milan. 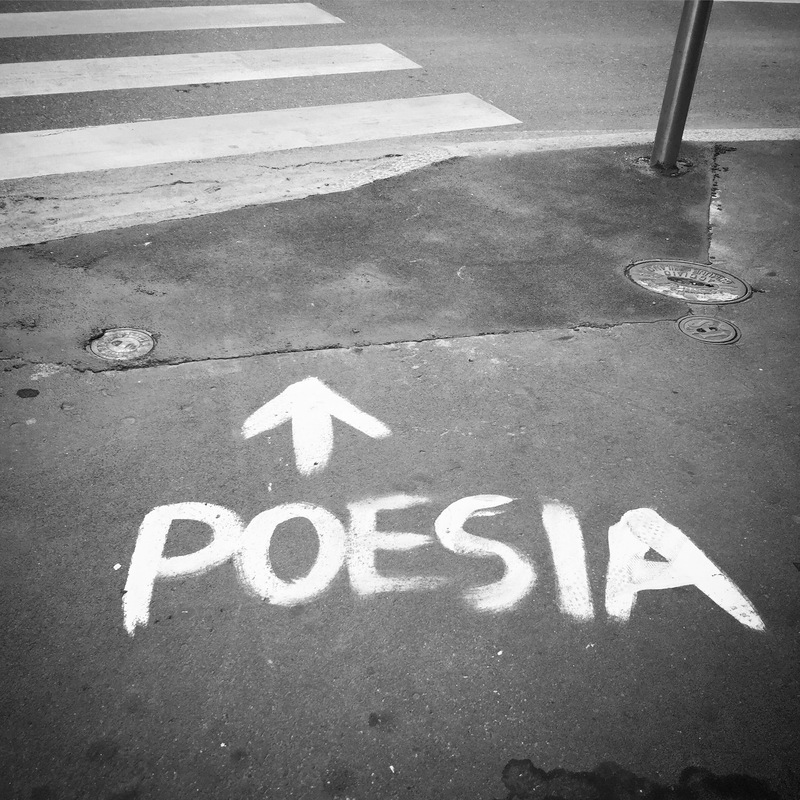 Saturday, 13 May at 19:20h at the Festival Internazionale di Poesia di Milano, MUDEC, Via Tortona, 56, 20144 Milano. On Monday 15th May at 19:30h he will give a private reading at The Swan, Piazzale Loreto, 9, 20100 Milano. On Tuesday night, 16 May at 19:15h he will perform at the spectacular Teatro Filodrammatici , Via Filodrammatici, 1, 20121 Milano. My Name is Swan is a short film that seeks to address the growing social and economic disparity in the modern city. Shot in stunning black and white its poetry will be found in its varied tones. We aim to make a work that is both beautiful and moving as well as poignant and probing. My Name is Swan will describe a 24 hour journey across London with the river at its centre. An odyssey of loss in a changing city landscape through which the narrator, ‘Swan’, drifts. It will give voice to social exclusion, addiction, pollution, loneliness and the metropolitan malaise. My Name is Swan portrays an individual desperately clinging to an identity yet resisting prevailing narratives. He may be pushed to the fringes, to the edges of both the city and of his own sanity, but he refuses to be marginalised. My Name is Swan may well have hiss in its beak but it will have elegance in its feathers. It will be a story of triumph over adversity as ‘Swan’, kicking against troubled currents, some of his own making, emerges to ride out the tide into another day. Core Arts is London based charity set up to support and promote recovery, social inclusion and mental wellbeing through the arts. We need to raise £7000 in order to complete our project. We are looking to raise half of the funds through this platform. The more we raise here, the more we can donate to Core.